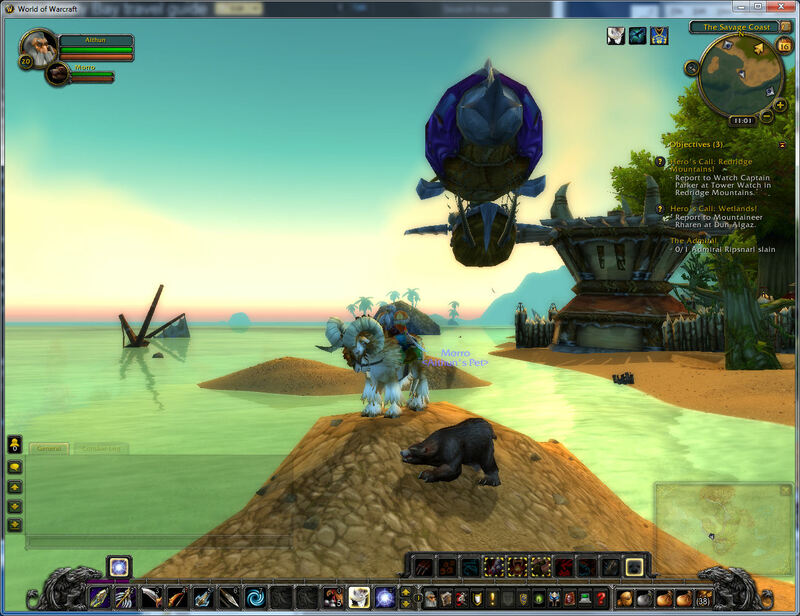 I was intrigued by the possibility of travel to the continent of Kalimdor via the far flung harbour of Booty Bay, on the Southernmost tip of the Esatern Kingdoms. This is pirate territory, and reached via dangerous travels over land and water through many strange regions. Giant waterfalls, pirate villages with airships, and many dangerous creatures had to be handled or avoided along the path. New gryphon routes were found as I went along, thus extending my travel possibilties greatly. 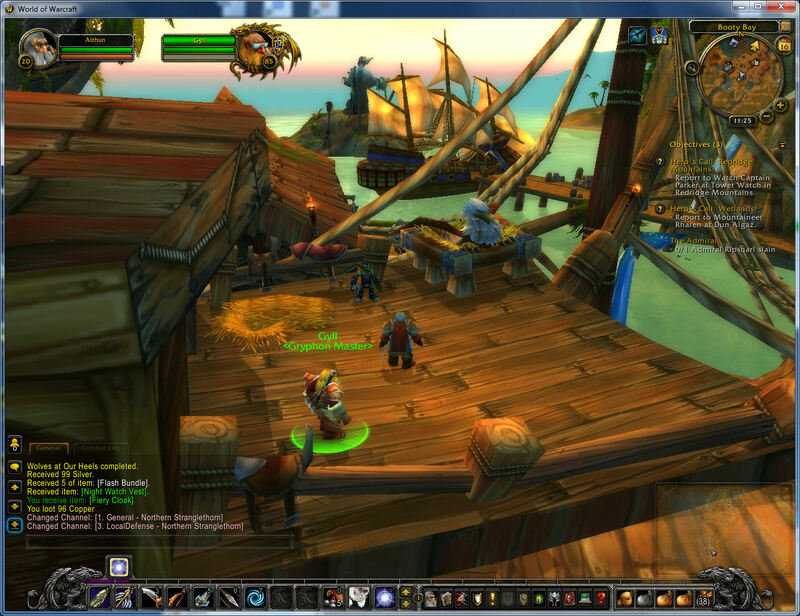 But in the end I found Booty bay, and took the ship across to the town of Rachet in Kalimdor.